The winner of the Master Classic of poker of 2015 is a pro from finland Jussi Nevanlinna . The event was in process at Holland Casino in Amsterdam, Nederland. The main event of the tournament got total 291 entries to the fourth day of gaming and the buy in was €4,250. 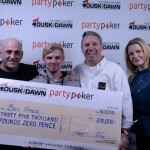 He defeated a player from Greece Georgios Zisimopoulos and took home a massive cash prize of €300,000 as well as a trophy. Nevanlinna was a runner up for the same tournament back in the year 2011 and was at fifth position last year in 2014. In that event he loses to David Boyaciyan. 1st place: – Jussi Nevanlinna Of finland topped the list and collected a cash prize of €300,000. 2nd Place: – Georgios Zisimopoulos of Greece took home €178,616 and was runner up to the event. 3rd Place:- The united Kingdom’s Donald Rae got third place and collected total €102,560. 4th:- Kees van Brugge of nederlands was at 4th position and got his share of winning prize of €81,818. 5th Place: – was for a player named Clyde Tjauw Foe. He is from Netherlands and won €70,294 as cash. 6th position: – A Greek player named Makarios Avramidis took home €57,618. 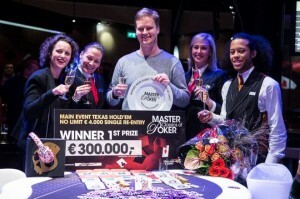 7th:- A Dutch player Joep van den Bijgaart got 7th position and collected €46,095. 8th:- Johnny Hansen of Denmark added €34,571 to his cash account. 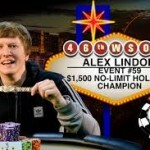 Recently he was at third place of the WSOP Circuit Rozvadov. 9th place/position: – went to a German player named Kilian Kramer. Krammer played at WSOP Europe main event and WSOP main event Las Vegas this year as well. He made a total of €23,047. As a poker player you should know each and everything currently happening in the world. This will definitely add values to your playing skills and you would never be disappointed. That is why we are here to provide things which do matter to you in a deep way. Check out our updates about online poker news and keep playing for real money using our links/banners to get maximum benefits and bonuses. We as realpokeronline.co.uk are the leader of poker industry. Here you’ll find playing strategies, news, top activities and other important factors that can influence your playing viscosity. Check it out.